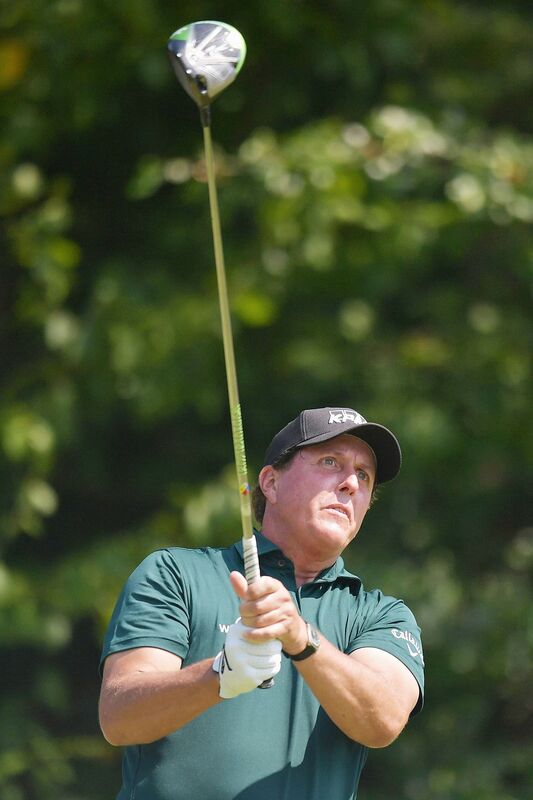 NEW YORK • Phil Mickelson's sudden return to form last week proved enough to keep his Presidents Cup streak alive as the five-time Major winner was one of two captain's picks to the United States team announced on Wednesday. Mickelson, who finished in a tie for sixth last week at the Dell Technologies Championship, and Charley Hoffman were captain Steve Stricker's two picks. They rounded out his 12-man team for the Sept 28-Oct 1 Presidents Cup. The Cup, a biennial team competition that pits the United States against a line-up of international players from outside Europe, will be played at Liberty National Golf Club in New Jersey. After a slew of disappointing results, including missed cuts at the last two Majors, Mickelson's Presidents Cup streak was put in jeopardy with Stricker saying the 47-year-old needed to "show me something" to earn a captain's pick. Mickelson, who has played on every Presidents Cup team since 1994, used last week's tournament in Boston - the second leg of the PGA Tour's four play-off events - to make his case. He posted four under-70 rounds to finish six shots back of winner Justin Thomas. For Mickelson, already a member of the World Golf Hall of Fame with 42 career PGA Tour wins, his addition to the team means he will have played in 23 consecutive team matches for the United States, including the Ryder Cup, dating back to 1994. "He is so valuable in the team room and is a tremendous partner on the golf course," said Stricker. "As someone who has been on 22 straight teams, he's a deserving pick, and he showed that with his strong play at the Dell Technologies Championship last week." Mickelson was 15th in the Presidents Cup standings, which award automatic team berths for the top 10 players, while Hoffman finished 11th. Stricker also enthused about Hoffman, saying that the 40-year-old has played well all year. "Charley has had a great summer. He's shown a lot of fight and will be a great addition to our team," Stricker added. International team captain Nick Price, looking to guide his side to their first victory since 1998, selected Argentinian Emiliano Grillo and India's Anirban Lahiri with his two picks. The United States have won the Presidents Cup nine times in its 11 editions, most recently by 151/2 points to 141/2 at the 2015 edition in South Korea.